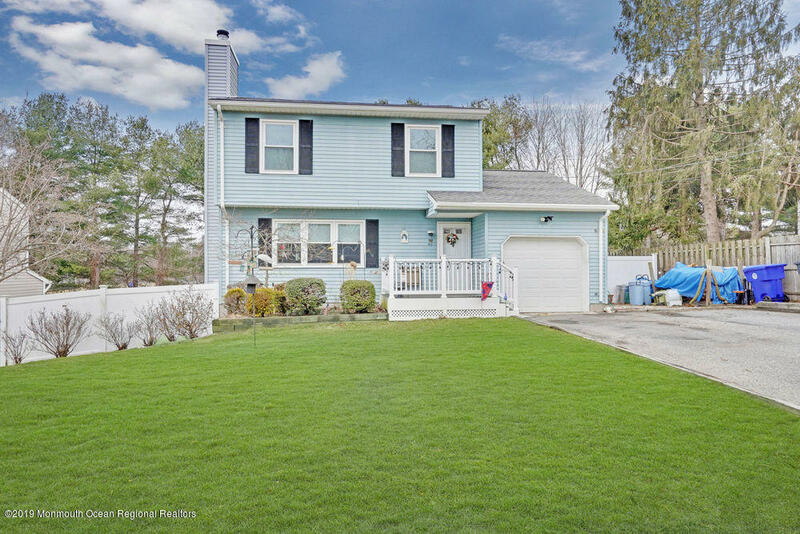 Start checking off your wish list, dead end street, fenced/private backyard, large driveway, garage with direct access, full walkout finished basement, This colonial has been home to original owners who purchased directly from the builders and have lovingly improved and maintained the house. Laundry room off kitchen with 1/2 bath and door to over sized deck. Furnace, Central Air and tank-less water heater have all been replaced in the last 5 years. Beautiful backyard with large shed, perrenial planters built into terraced retaining wall. Sprinklers on well to irrigate front, back and flower beds. Beyond trees is soccer field. Many possibilities with full walk out basement. Pull down stairs for attic storage. This one isn't going to last.